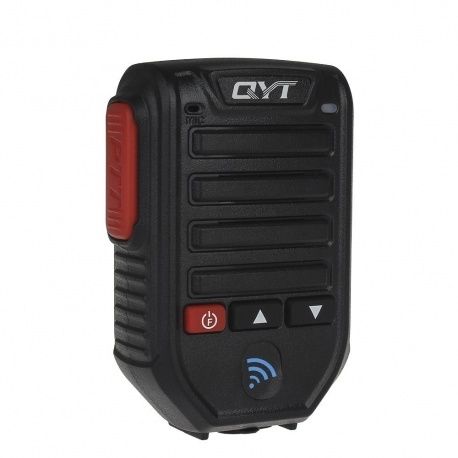 This bluetooth handheld microphone BT-89 is compatible with QYT brand radio: KT-7900D, KT8900 mini, KT8900D, KT-780 Plus and KT-980 Plus. Comes with: 1 QYT BT-89 bluetooth wireless microphone, 1 RJ45 adapter, 1 3.5mm jack and USB charger cable, 1 USB charger, 1 Belt clip, 1 manual (in English). Description: This bluetooth handheld microphone BT-89 is compatible with QYT brand radio: KT-7900D, KT8900 mini , KT8900D , KT-780 Plus and KT-980 Plus. Reception range: 10 meters Battery: 1400mAh Autonomy: 2 days to 1 week depending on use Connection: Bluetooth Comes with: 1 QYT BT-89 bluetooth wireless microphone, 1 RJ45 adapter, 1 3.5mm jack and USB charger cable, 1 USB charger, 1 Belt clip, 1 manual (in English).